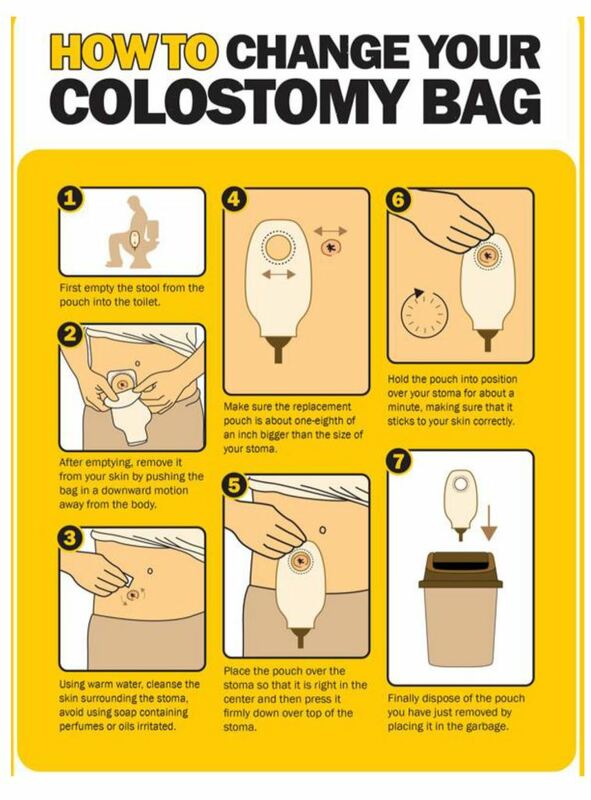 Colostomy: What is being done ? There is a disease in your Intestine which needs to be removed along with a part of the intestine. Empty your pouch when it is one – third to half full. Avoid creams as they reduce the sticking of the bag. Rinse your skin with water, and dry it completely before you apply the new pouch. After you apply your skin barrier, hold it against your body for 30 – 60 seconds – the pressure and warmth will help activate the adhesive. 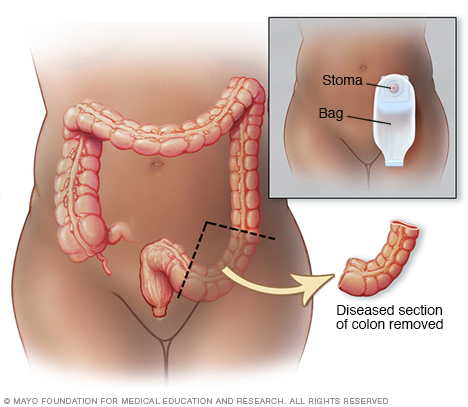 Take care of your stoma and it will take care of you !!! It is very important for the skin around the stoma to be. Look carefully at your peristomal skin every time you change the bag. You are not alone. There are thousands of general population. With a stoma you can shower or bathe just like you did before. No need to alter your fluid intake, but we advise adequate water.